The UP Lady Fighting Maroons are heading back to the court! The newly minted champs will be seeing action at the 2018 Philippines University Games in Dumaguete City from October 21 to 28, 2018. Fresh off their Premier Volleyball League championship run, the ladies of Diliman are set to prove their volleyball wares again. The squad will be flying out to Visayas to compete against the best UAAP, NCAA, and provincial teams in the upcoming Unigames. The annual tournament, which started in 1996, is one of the biggest collegiate sporting events in the country. Schools from Luzon, Visayas, and Mindanao compete against each other in several sporting events. “We are going up against more UAAP schools. 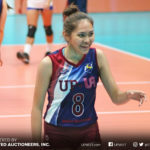 This would be a preview of the upcoming UAAP Season 81,” shares veteran Marian Buitre, who has played superbly in the PVL. 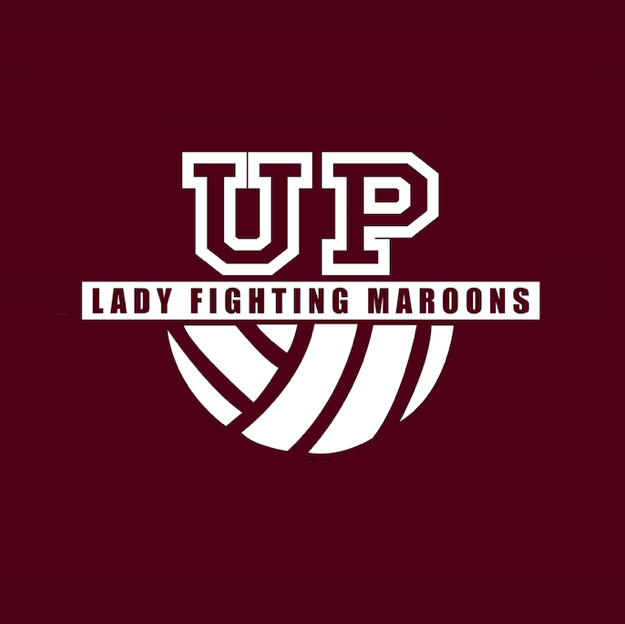 This is the first time the Lady Maroons will be joining the competition in five years. Their last being in 2013. 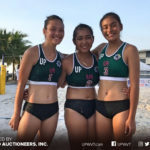 While the team is aware that there is pressure for them to perform well after impressive outings in the PVL and UAAP Beach Volleyball, they’re not letting nerves take over their game. “Being the current champs of the PVL, yes, everybody expects more from our team. But our thinking coming in is that now is the time to showcase our team in a more challenging league like the Unigames,” Assistant Coach Joma Angulo shared. Coach Joma, together with Coach Joyce Palad and Coach Wendel Miguel, have been crucial pegs in the success of the UPWVT so far. A huge support for Head Coach Godfrey Okumu, the coaching staff have helped steer the ladies to several podium finishes the past month. Through the Unigames, the coaches hope they can also use the platform to recruit new blood. “It is common knowledge that a lot of the skillful players come from the province, so this will serve as platform for recruitment,” Coach Joma added. The roster competing in the games will consist of a mix of veterans and rookies. Buitre, Isa Molde, Rose Cailing, Jessma Ramos, and Rosie Rosier will be playing alongside the new additions of the UP squad. “I’m looking forward to seeing how the rookies will showcase their talents,” Buitre noted. The veteran also added that the current line up is a good way for the newer Maroons to gain experience and to learn from the seniors. As for Justine Dorog, who came off another impressive performance in the UAAP 81 Beach Volleyball, this is a coming home for her. After training for beach volleyball for two months, and successfully bagging the Bronze, she returns to indoor volley. “Beach volley is really different from indoor, so for me back to reality na talaga,” she explained. Coming off two-straight medal finishes, Dorog is confident the Lady Fighting Maroons will continue their dominant performance in Dumaguete. 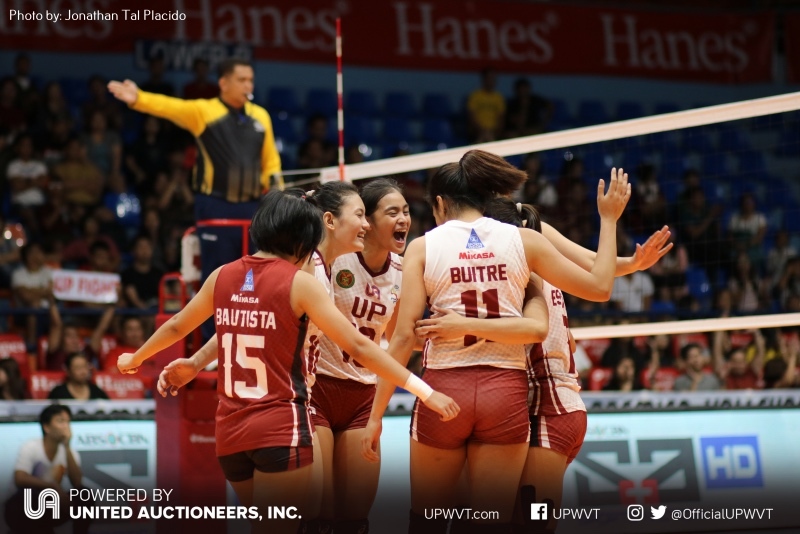 You can catch the games of the UP Lady Fighting Maroons at the Foundation University Greyhound Gardens Yellow Court, the Dumaguete City High School Valencia Gym, and the Lamberto Macias Sports Center. Games will run from October 21-28, 2018.